Excitement accompanied by an overwhelming feeling of inadequacy doesn’t necessarily sound like the beginning of a worldwide movement, let alone a new congregation. But from the very humble beginnings of Jesus climbing into boats and telling unschooled men to leave their nets and fish for people, this calling of the ordinary to a higher purpose has transformed communities and led people to Jesus across the globe. New Christians and new worshipping communities don’t suddenly materialise through expertise, sheer effort and an awesome worship band, they often begin small, with a couple of Jesus-followers praying ‘Thy kingdom come’. New Christians and new worshipping communities don’t suddenly materialise through expertise, sheer effort and an awesome worship band, they often begin small, with a couple of Jesus-followers praying ‘Thy kingdom come’. 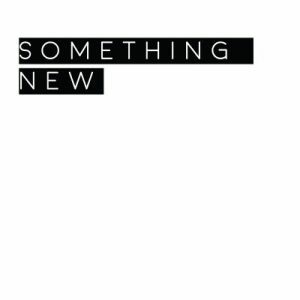 ‘Something New’ is one of those small communities of God followers; watching, praying and exploring ways to join in with what God’s doing where they live. Planted beneath the shade of the Cathedral, this community began with a call to prayer. In the summer of 2015, at the beginning of his role as Cathedral Evangelist, Andy Dykes spent his first few months exploring opportunities for mission within and outside the Cathedral walls. Both Andy and his wife Nic, are passionate about church planting and had already played significant roles in starting other projects connecting with young adults and tell them about Jesus. 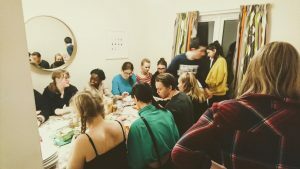 After a series of significant conversations with the Cathedral and those involved in young adults’ ministries in the city, as well as living on the doorstep of a huge student community, Andy and Nic both had a sense that God was promoting them to explore starting something with young adults and that’s when ‘Something New’ began. Inspired by the remarkable ministry of Sepas, a new Persian congregation in the Cathedral, Andy realised ‘If I believe it’s God and not socioeconomic, cultural or demographic factors that are bringing people to faith, then there’s no reason we can’t see 300 young adults baptised. This audacious vision was actually quite freeing, because it was out of our hands, we were obviously completely inadequate in this task, we had no team and no resources. We knew if we wanted to see God’s spirit break out among young adults in the city, the only thing we could do was pray’. We knew if we wanted to see God’s spirit break out among young adults in the city, the only thing we could do was pray’. Andy, Nic, Josh (a neighbour) and occasionally a couple of other Christians living nearby began praying together twice a week and they’re still praying now. Being given a free reign by the Cathedral really helped them to enter into prayer with no agenda, ‘if God just wanted to call us into prayer then that was fine, we simply asked God what he wanted us to do’. After a time of prayer a couple of ideas bubbled up and there was a real sense of God’s spirit in them. One idea was prayer-shaped church. Conscious of the fact they wanted prayer to be a central part of what they did rather than side-line it to the end of a gathering once they were more established, Something New began dreaming about what church could look like if it grew out of a prayer meeting rather than a service. Alongside this exploration of prayer-shaped church, they, along with others in the Diocese also have a vision to establish a permanent 24/7 prayer room in the Cathedral. They have already coordinated a 24/7 prayer event there, but the task of establishing a permanent base for prayer is another daunting challenge that can only be explored on bended knee. Their other idea was a pizza oven. 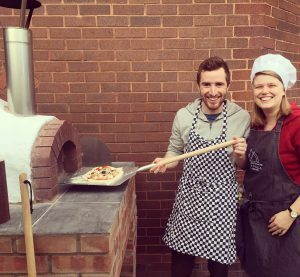 The pizza oven seemed a natural next step to Something New’s ministry because Andy and Nic loved hosting people, it’s a fun and creative way to cater for a large group and basic pizza ingredients are relatively inexpensive. The process of making the pizza is also a great way to build community because it slows everything down, you’re no longer just feeding people, and instead everyone gets involved as they join in with making the food. 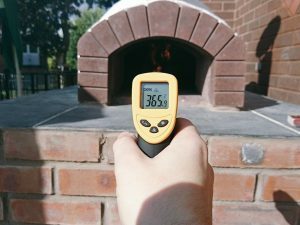 So with the cost of building materials paid for by Andy’s freelance design work and YouTube videos as a guide, they built a pizza oven. 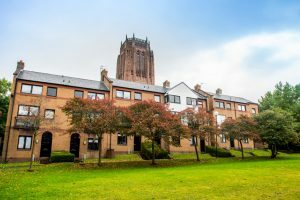 At the beginning of Fresher’s week this year, Something New hosted a BBQ/Pizza event with the team at St James in the city, they also visited everyone living near them with invitations to come and eat pizza with them on Sunday evenings. For the first couple of weeks they had about 15 people join them for food, it was chaotic and fun, with everyone pitching in and helping make the pizza as well as eating it. After these initial weeks, they continued to invite those who had been coming along on and encouraged them to invite others as well. At first the ethos behind Sunday night’s was to invite people as neighbours and get to know them as neighbours, although people knew Andy and Nic were Christians there was no agenda, but they have since decided to be more upfront and include more Christian content to the gatherings. Each week they pray together before eating and tell a story that sparks off discussion. At the moment they’re using a book of fables but as the group becomes more comfortable with discussing life and faith they may include Bible stories and parables. As with any new initiative, the commitment and energy required to start something new is significant and currently Andy and his wife Nic are looking for a couple more people who are interested in joining them on this journey and commit to making Something New their church. The dream is to be in a room crammed full of people celebrating what God has done and to be able to look round the room and see those we got to travel on that journey with. With skills learnt through YouTube and a vision undeterred by resources or numbers, Something New is driven by the desire for people who don’t know Jesus to become part of their community and for their lives to be transformed. ‘The dream is to be in a room crammed full of people celebrating what God has done and to be able to look round the room and see those we got to travel on that journey with.’ Right now, they’re at that messy beginning stage that’s somehow both exciting and scary at the same time, but with prayer and a pizza oven, who knows what could happen?